Three ingredients and no cooking make this a quick and easy snack to make when those chocolate cravings hit. This Weight Watchers inspired low calorie s’more recipe is super easy to make and lets you enjoy dessert without the guilt. 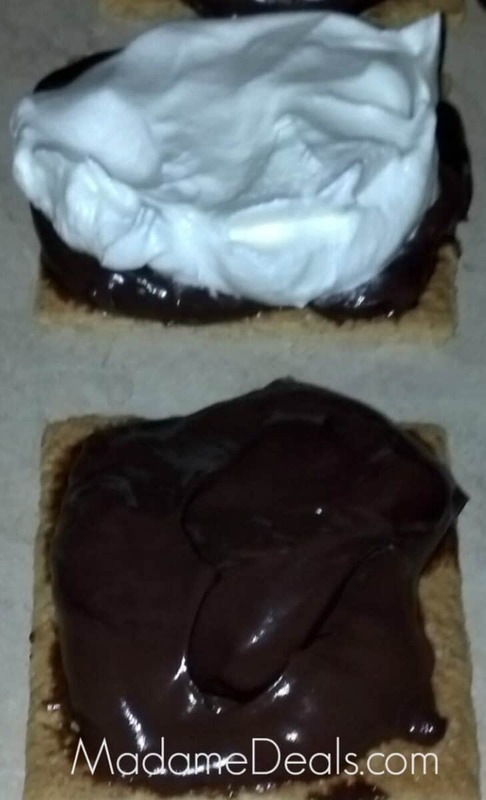 Split pudding cup and spread on 2 Graham Cracker halves. Top Pudding with whipped topping. Top with remaining 2 Graham Cracker halves. You can make these ahead of time and freeze them for a frosty treat. Thanks to Judy Hellems for this delicious recipe! Check out our Low Calorie Recipes which go well with a Weight Watchers Diet! Find out what we are eating>> Weekly Madame Deals Menu Plan! Weight Watchers Mac and Cheese Recipe Only 4 Points!